There is probably no starker or more undeniable indicator of the inequalities that men and boys face than the high male suicide rate. Male suicide is a global problem with an average of one man killing himself every minute of every day. In all but one of 105 countries that we have statistics for, men are significantly more likely than women to take their own lives. In Britain, men are three times more likely to die from suicide. There are many factors that increase men’s risk of suicide including homelessness, imprisonment, school exclusion, addiction, unemployment, fatherlessness and age group. For young men in the UK, for example, suicide is now the biggest single cause of death. What action will your party take to reduce the rate of male suicide in the UK? 1. When boys are excluded from school they are 19 times more likely to commit suicide than those who are not excluded. 2. Researchers in Sweden found that boys whose parents had separated were more than twice as likely to attempt suicide. 3. Separated men are twice as likely to kill themselves as other men and six times more likely than separated women to die from suicide. 4. Eight out of 10 suicidal young men have experienced bullying and seven out of 10 have experienced violence from an adult. 5. Men from the poorest backgrounds living in deprived areas are ten times more likely to kill themselves than men from high socio-economic backgrounds living in the most affluent areas. 6. Men are more likely to be unemployed than women and unemployed men are two to three times more likely to kill themselves compared with other men. 7. 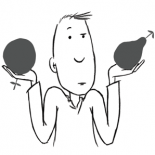 Men who become unable to fulfill the male provider role seem to be vulnerable to suicide. Research found that more than 1,000 people in the UK killed themselves because of the economic impact of the recession and 84% of them were men. 8. Young men under 24 who leave the armed forces are two to three times more likely to commit suicide than the general population. In 2012 more British soldiers killed themselves than were killed in Afghanistan. 9. Male prisoners are five times more likely to die from suicide than the general population and young male offenders are at even greater risk of suicide being 18 times more likely to kill themselves. 10. Men and boys who become socially excluded have an increased risk of suicide. Boys who end up in care, for example, are four to five times more likely to attempt suicide. Men who become homeless and sleep rough are also at greater risk being 9 times more likely to kill themselves than the general population. 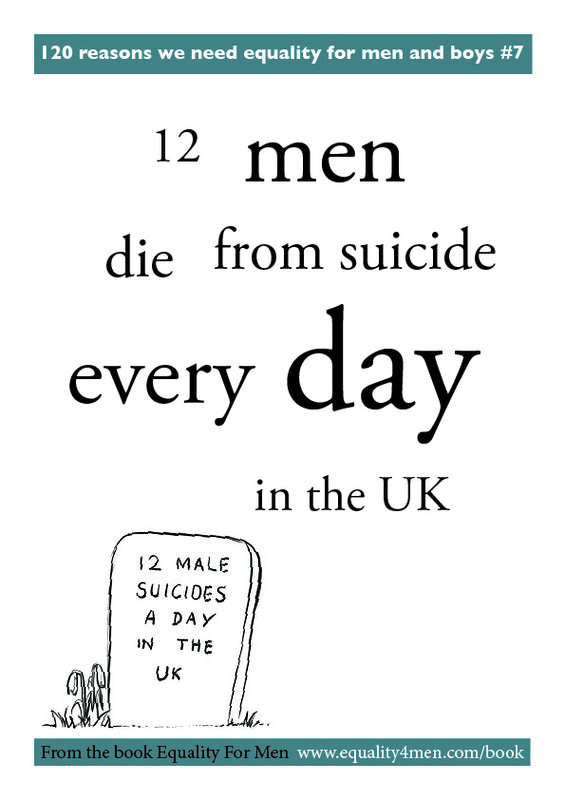 This entry was posted on November 18, 2013 by equality4menuk in #StopMaleSuicide, 12 Manifesto Challenges and tagged stop male suicide, suicide and young men, suicides linked to the recession.